Brother “Ali” says that the current situation in Iran is “chaos.” But he says God is using that chaos as “a perfect storm” to bring more Iranians to faith in Christ. 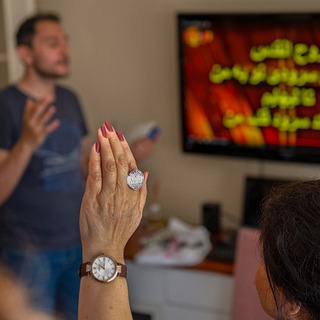 You’ll be encouraged by stories of how God is reaching Iranian people with His love—a love that can overcome depression, sickness and need, replacing chaos with the peace of God. Listen as Ali shares the story in the Bible that inspires him to challenge Muslims to go to the mosque more often, and how he sees lives changed dramatically—often in a very short time—after an Iranian meets Jesus. Ali will also talk about the blessings of persecution, how the fear and danger he faces each day shapes his spiritual walk, and how the church in Iran talks about suffering.